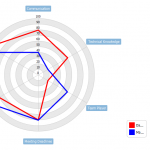 Radar Chart Example - Radar charts are useful when you want to look at several different factors all related to one item. 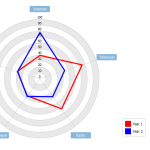 Radar charts have multiple axes along which data can be plotted. 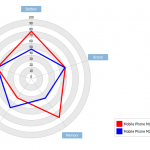 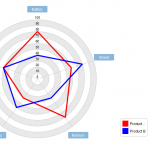 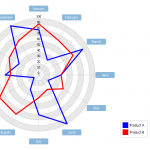 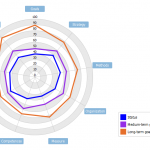 In a radar chart, a point close to the centre on any axis indicates a low value. 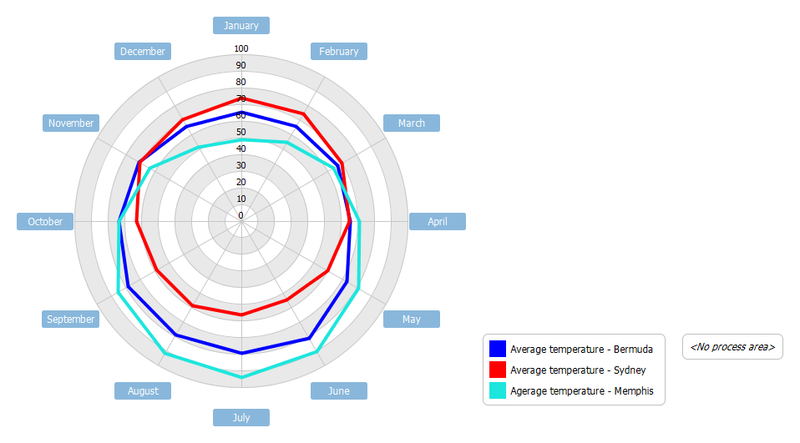 To demonstrate the use of radar chart, we will compare the average monthly temperature for three cities; a Northern hemisphere ocean moderated location, a Southern hemisphere ocean moderated location, and my home town Memphis, TN.